Successful readers use a number of tools to help them understand texts. One of the most effective and powerful reading tools that parents and teachers can help children develop is sight word recognition. When a child is able to grasp and identify sight words he is well on his way to becoming a thriving reader. 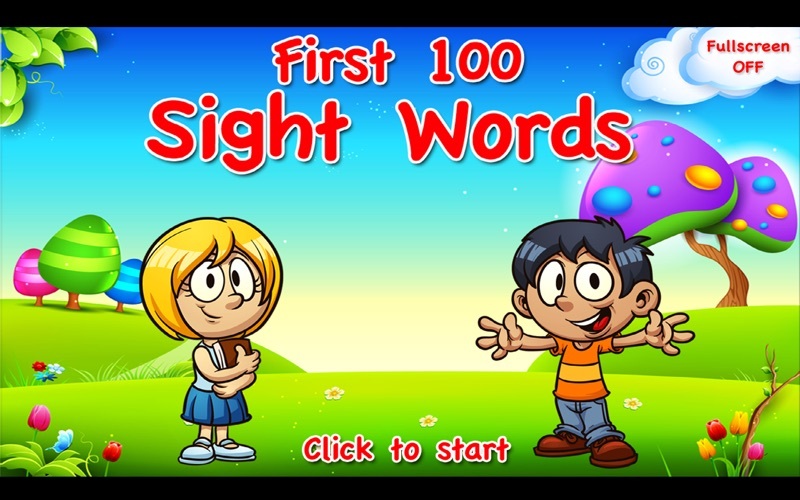 First 100 Sight Words app is an application for learning frequently used English words. Benefits of learning Sight Words. - Sight words are confidence builders. 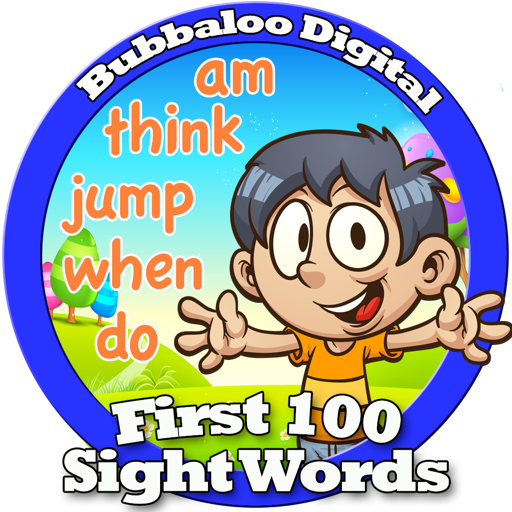 - Sight words free up a child’s energy to tackle more challenging words. - Sight words provides clues to the meaning of a sentence. - Sight words sometimes defies decoding strategies. - Sight words instruction builds a foundation for reading new, more complex words. - Track each completed word list set. 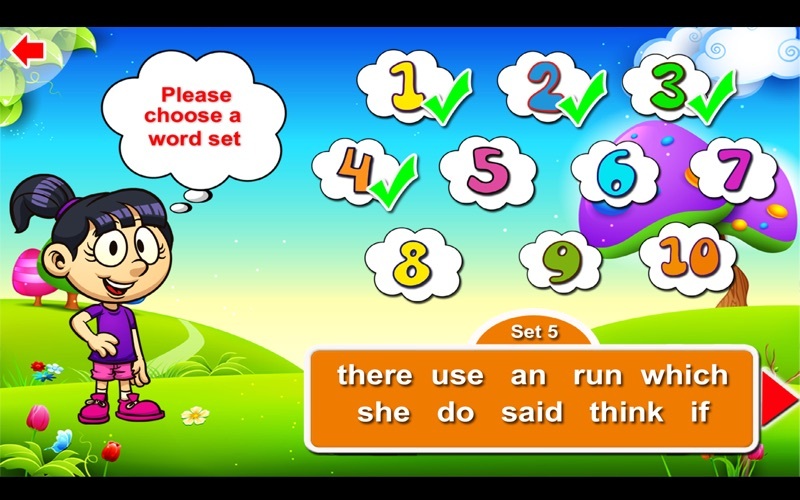 - Rich colourful graphics environment to enhance your child's learning experience. 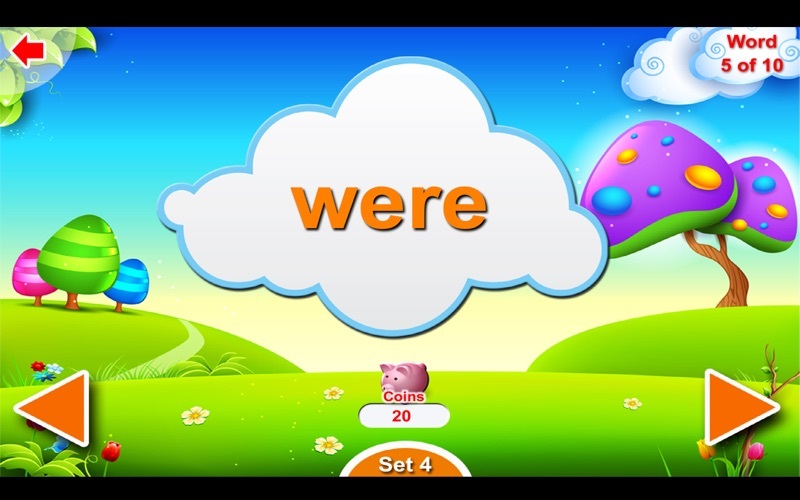 - Complete each set of word list to earn coins. - Click on each word to earn extra coins. 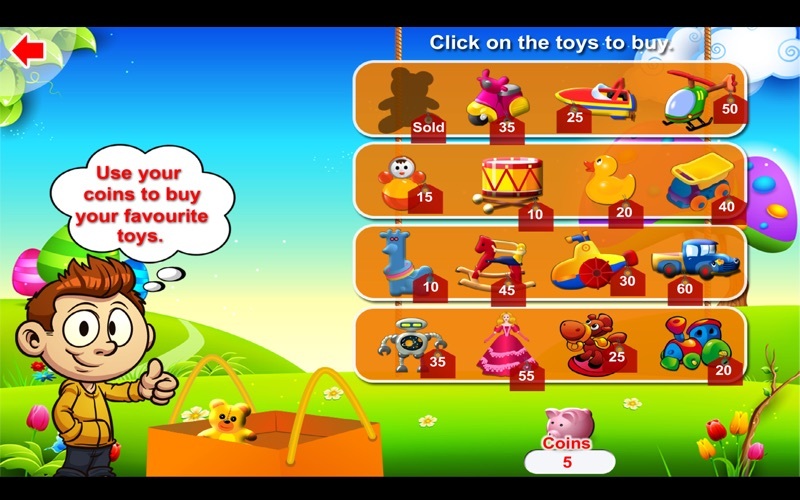 - Your child can use the coins to purchase collectable virtual toys in the Toy Store Section. Option to select US pronunciations or UK pronunciations in the main menu.